I painted this watercolour during two lunch breaks last week. I used several photos I had taken on the island of Bullerö last summer as reference. 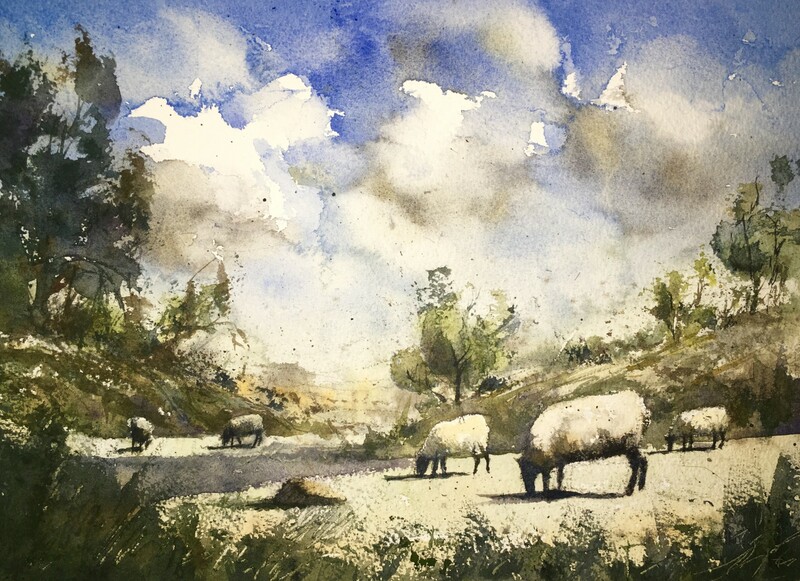 I’m happy with my loose style, my brush stokes are fairly confident, the sheep could be better but it’s my second time painting them, like everything else one has to practice many times to master anything. Click this image if you want to see it in a larger version.